Disclosures: Consultant/medical advisory board for Abbott, Bard/BD Interventional, Boston Scientific Corporation, Cordis, a Cardinal Health company, Cook Medical, Cardiovascular Systems, Inc., Endologix, Gore & Associates, Inari Medical, Lake Region Medical, Medtronic, Philips/Volcano/Spectranetics Corporation, Penumbra, and Terumo/Bolton Medical. Disclosures: Consultant to Inari Medical, Veniti, and Tactile Medical. Please describe your deep vein thrombosis (DVT) screening program and practice. Dr. Beasley: I currently have a sizable and growing venous practice. I started about 10 to 12 years ago by helping patients with superficial venous insufficiency. Over time, my practice evolved to include the deep venous system as I gained clinical interest and proficiency in the treatment of both acute and chronic venous insufficiency. Figure 1. ClotTriever Thrombectomy System Catheter. Today, I receive referrals from several outside hospitals for unusual or complicated cases and have also developed strong relationships with our Mt. Sinai emergency department, primary care physician, and internal medicine staff for referrals within our institution. When patients present with pain and swelling and have suspected DVT, they are sent to our vascular lab for an ultrasound assessment. If DVT is confirmed above the knee, our vascular interventional radiology group is then typically called for consult. Dr. Marston: At the University of North Carolina Medical Center, we see patients with DVT from a variety of sources. Approximately 18 months ago, we initiated an outpatient DVT clinic where patients suspected of having an acute DVT may be evaluated and undergo venous duplex evaluation in the outpatient clinic rather than waiting for hours in the emergency room for evaluation. Given the current logjam in the emergency rooms of most hospitals, this program has been well accepted and appreciated by patients and referring physicians that utilize the service. We also see patients with acute DVT who arrive at our emergency room for care. Typically, these patients are managed as outpatients unless they are significantly symptomatic, in which case vascular surgery or interventional radiology are consulted to determine whether the patient would benefit from intervention to reduce the clot burden and reduce the potential of long-term postthrombotic syndrome (PTS). We also occasionally receive patients in transfer from other hospitals who have particularly severe symptoms after DVT for consideration for interventional therapy. Figure 2. ClotTriever Thrombectomy System Sheath. What are your DVT treatment goals? Dr. Marston: Our treatment goals for patients with DVT are to prevent pulmonary embolism (PE) and minimize the risk of severely symptomatic PTS in the future. It may be difficult to determine which patients are going to be affected with postthrombotic symptoms that are detrimental to their quality of life (QOL), but it appears that patients with more proximal thrombus involving the common femoral vein (CFV), iliac veins, and the inferior vena cava (IVC) are at higher risk, and patients who have more severe symptoms at the time of DVT that do not improve over the initial days after DVT also are at higher risk of long-term debilitating symptoms. The key is to identify patients at high risk for symptoms that will severely affect their QOL who would benefit from interventional therapy. These patients are typically younger, more active with a long life expectancy, and at low risk for bleeding complications with interventional therapy. In this group, we attempt to reduce the clot burden and increase venous outflow for the affected limb. Dr. Beasley: My primary goals are simple. I want to remove all of the clot and restore flow as quickly as possible. I think it is very important to provide immediate relief of pain and swelling. I also believe removing all clot minimizes the risk of developing longer-term complications such as PTS and reduces risk of recurrence. Once I have removed as much clot as possible and restored flow, I use intravascular ultrasound (IVUS) to check for underlying anatomic provocations such as venous compression to confirm whether the patient requires adjunctive venoplasty and stenting. My goal is to offer complete treatment in a single session. I recognize that the ATTRACT data did not show a significant difference in PTS rates between the intervention and nonintervention groups, but it did show a difference in both acute relief of symptoms and severity of PTS, both of which are meaningful. Notably, most patients treated in the ATTRACT study did not have complete clot resolution, which I believe does make a difference in longer-term outcomes. Figure 3. Clot extracted in ClotTriever thrombectomy procedure. Figure 4. Clot extracted in ClotTriever thrombectomy procedure. Disclosures: Consultant to Medtronic Peripheral and Abbott. Figure 1. Preprocedural venogram showing significant clot burden. DVT patients often present acutely but with underlying subacute and chronic clot. Thrombolytic drugs and aspiration catheters are largely ineffective at treating such clots and are accompanied by considerable bleeding risk. The ClotTriever System is a new mechanical thrombectomy device designed to remove significant venous clot without the risks associated with thrombolytic drugs. This article describes a case in which the ClotTriever System was used to successfully treat DVT by removing thrombus and restoring venous patency and blood flow in a patient with advanced prostate cancer. A 47-year-old man presented to our clinic with left lower extremity pain and swelling. The patient had recently undergone multiple rounds of surgery, radiation, and chemotherapy to treat stage IV prostate cancer. Venous duplex ultrasound revealed extensive thrombus extending from the left popliteal vein to the external iliac vein. Preprocedural evaluation revealed low hemoglobin levels, which could exacerbate bleeding complications, which made the ClotTriever System the preferred treatment choice. Figure 2. Acute and chronic clot retrieved. Figure 3. 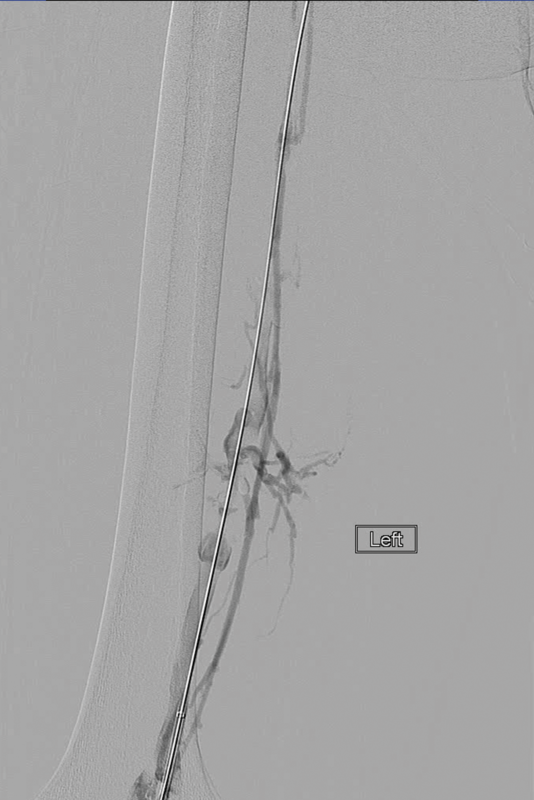 Postprocedural venogram showing marked improvement in clot resolution and patency. 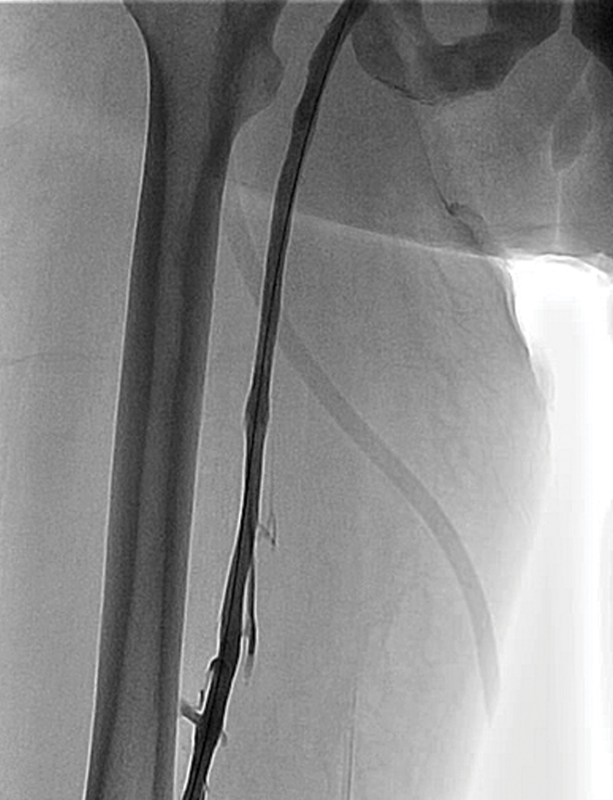 Access was obtained via the left popliteal vein and the 13-F ClotTriever funnel sheath was deployed. Next, the ClotTriever catheter was inserted through the funnel sheath and deployed above the clot in the common iliac vein. Venography was performed, which showed significant clot burden and limited blood flow (Figure 1). 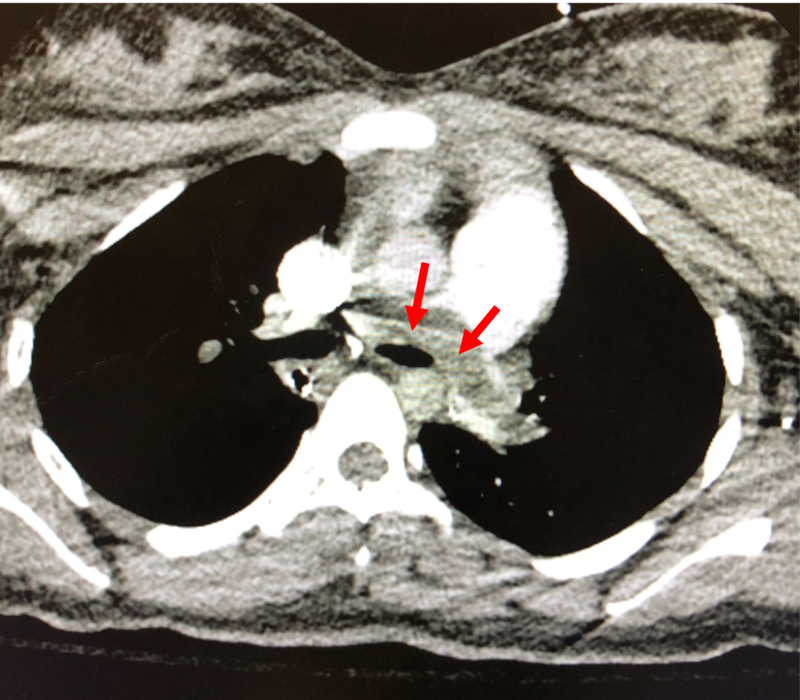 The ClotTriever catheter was delivered and passed through the clot two times, with significant acute and chronic thrombus removed on both passes (Figure 2). 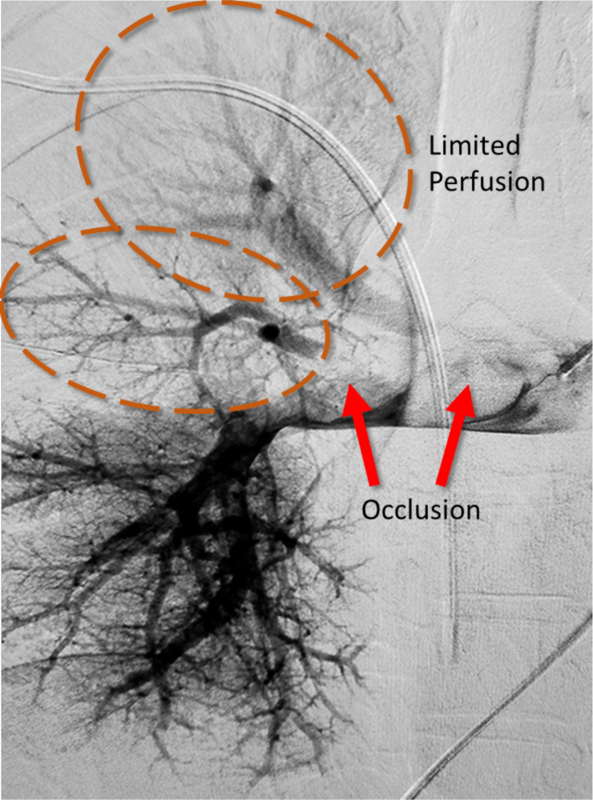 Postprocedural venography showed excellent clot resolution and blood flow (Figure 3). Postprocedural IVUS confirmed improved patency and no residual thrombus. Total device time was 50 minutes. The procedure was completed without complications, and the patient was extubated and transferred to recovery in stable condition. 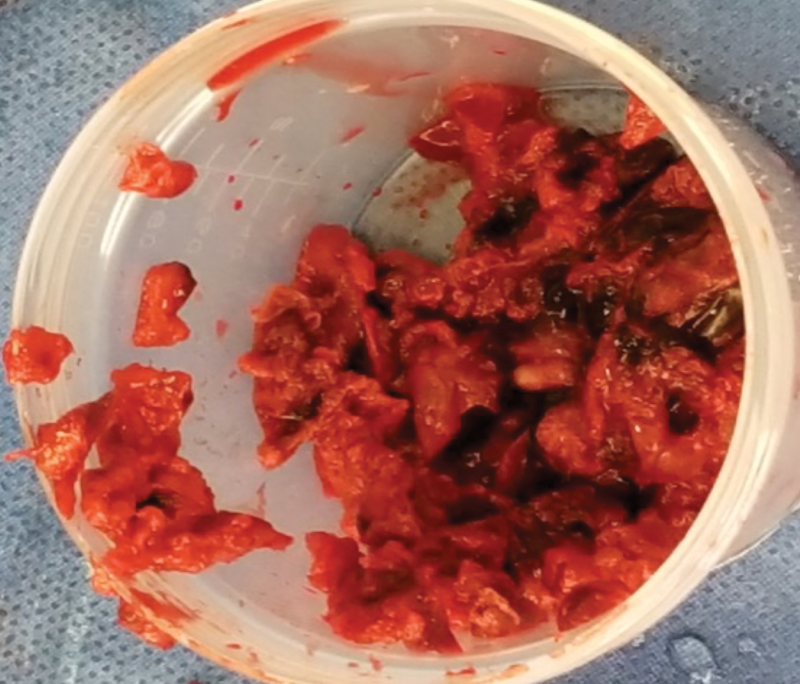 This case demonstrates the effectiveness of the ClotTriever System for the removal of thrombus in a patient with DVT and a remarkable medical history. The ClotTriever System expands the therapeutic armamentarium for vascular interventional therapies to treat venous clot and even subacute and chronic clot without the need for thrombolytics and the associated potential bleeding complications. What are the challenges of DVT treatment? Dr. Beasley: There are several challenges to treating DVT effectively. Patients often present with very significant clot burden. In addition to acute clot, there is almost always a chronic component that is difficult to treat with thrombectomy and for which tissue plasminogen activator (tPA) is ineffective. 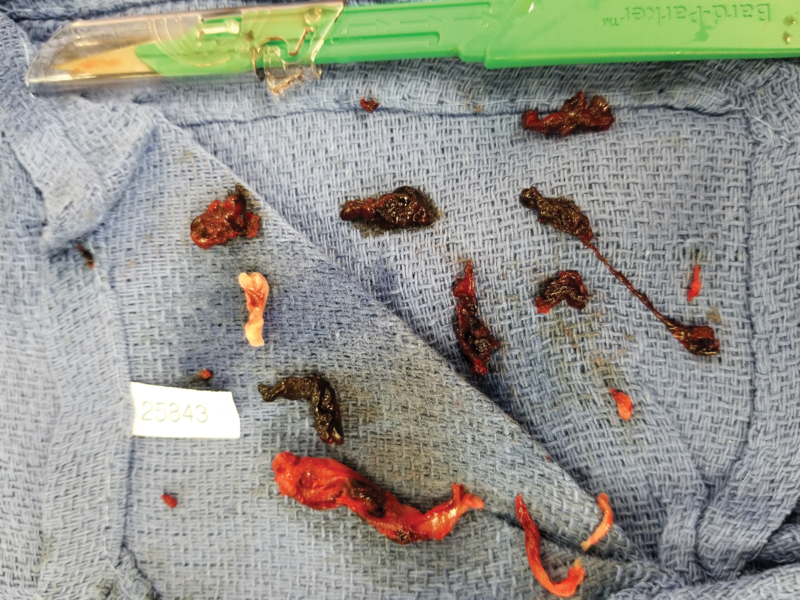 In my experience, most thrombectomy tools can chip away small pieces of this chronic clot, but rarely remove all of the clot or establish excellent flow. We usually then drip tPA for a prolonged period, which increases bleeding risk, necessitates time in the intensive care unit (ICU), requires a second trip back to the cath lab, and often shows unsatisfying results with persistent residual clot. Dr. Marston: Treatment of acute DVT is challenging because we have insufficient criteria for determining which patients will go on to develop severe PTS. In the ATTRACT trial, PTS developed in about half of patients who had femoral or iliofemoral thrombosis, but only about one-quarter had moderate to severe symptoms. Although the incidence was likely higher in those with more extensive iliac or caval DVT, we need better information to understand which patients are at the highest risk for developing PTS. In some studies, it has been indicated that patients with more severe leg pain and edema after DVT are more likely to develop significant PTS. It is critical to involve the patient in the decision-making process to discuss the chance that he/she might develop DVT and the expected outcomes with interventional treatment. Patients who clearly have potential gain from intervention and are aware of the potential risks undergo intervention. The second major challenge is that many patients who develop DVT are initially seen in an emergency room, diagnosed, and discharged home on low-molecular-weight heparin or a direct oral anticoagulant for treatment. Some patients do not experience improvement with these therapies and go to their primary physician for evaluation, who then refer the patients to us. The end result is that patients are referred to the vascular clinic 4 to 6 weeks or more after their acute DVT at a time where most interventional therapies are less likely to be successful. 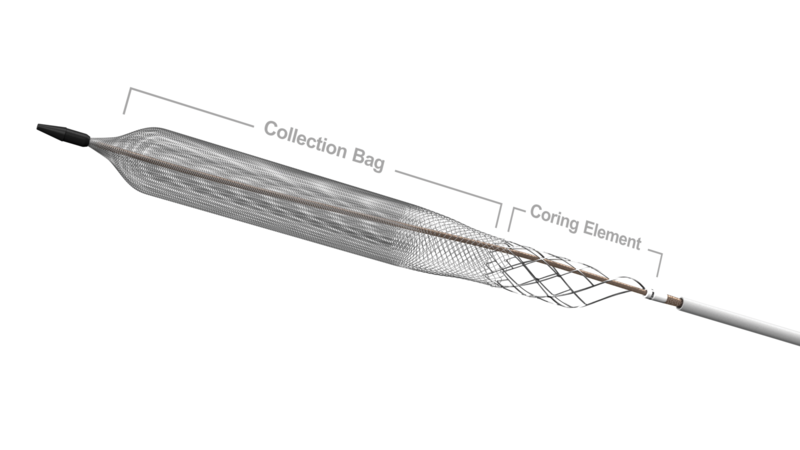 How do you determine which interventional device to use? Dr. Beasley: I am very fortunate that I have been exposed to most treatment modalities for DVT. Until recently, I would tailor my treatment based on the patient’s eligibility for thrombolytic drugs. In the rare event a patient presents with purely acute clot, both tPA and aspiration devices work well. Unfortunately, once you get in there, you often find there is also a subacute or chronic component, and these devices do an incomplete job. My goal of treating patients in a single session requires complete thrombus removal followed by immediate stenting when warranted. Because past treatment tools have not enabled efficient and complete clot removal to facilitate single-session treatment, I have shifted my front-line thrombectomy device choice to the new ClotTriever System (Inari Medical). In our experience, this device works extremely well for iliocaval thrombus through the popliteal vein. It removes clot ranging from acute to a more organized chronic clot where I have seen other technologies fail. The ClotTriever eliminates the need for tPA, the logistics and costs associated with ICU stay, and additional cath lab time for multi-session treatment. Dr. Marston: We determine which interventional device to use based on the location of the thrombus and its age. 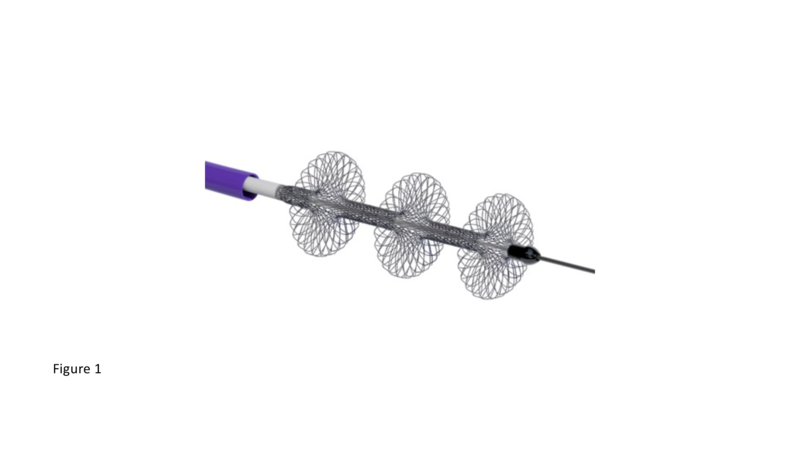 In particular, fresh venous thrombus appears to respond well to a variety of thrombectomy devices, including the AngioJet (Boston Scientific Corporation), Indigo System (Penumbra, Inc.), and others. However, as the thrombus ages past the first 1 to 2 weeks, it becomes more difficult to completely clear the entire venous lumen in large 12- to 18-mm proximal veins. We find that in older thrombus, although a flow pathway can be reestablished, these devices leave a small outflow channel that is not adequate to supply sufficient venous drainage. When thrombus is older than 3 to 4 weeks, often these methods are completely ineffective. 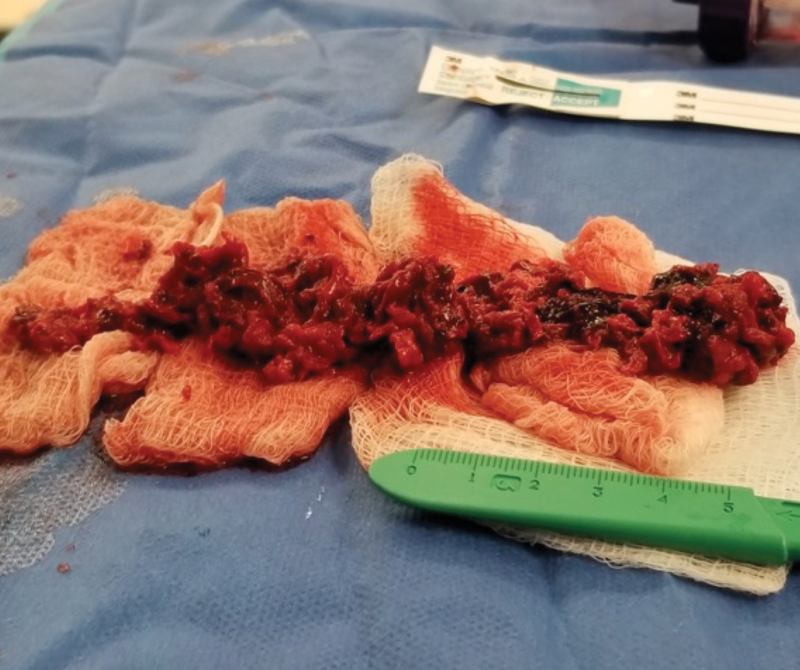 In our experience, this is an area where there is a significant advantage for use of the ClotTriever catheter, which has the ability to extract older thrombus and achieve a larger flow lumen in these cases. Another selection criteria includes the situation where tPA is contraindicated, including postoperative DVT or in patients who have had recent bleeding complications. In this case, mechanical thrombectomy alone is chosen, and in some cases, a suboptimal result is achieved with smaller-French devices. In this situation, we choose to use the ClotTriever device to attempt to fully clear the outflow tract without use of tPA at a single session. Lastly, most modalities other than ClotTriever rely on thrombolytic drugs to clear clot and often necessitate an ICU stay. There is an opportunity cost for consuming beds for the sole purpose of treating DVT when these high-cost beds could be readily available for other important procedures our hospital offers. Being able to treat patients in a single session without the need for thrombolytic drugs or an ICU stay is an appealing option for our hospital. Disclosures: Consultant to Inari Medical. Figure 1. The FlowTriever System. Acute PE is the most serious clinical presentation of venous thromboembolism and is associated with significant morbidity and mortality. Catheter-directed therapy using thrombolytic drugs improves cardiovascular function but is associated with increased risk of bleeding and stroke. Due to these risks, percutaneous mechanical intervention has evolved to become the leading treatment approach for other clot-related disorders ranging from myocardial infarction to stroke. Until now, there has not been a US Food and Drug Administration–cleared thrombectomy device designed specifically for PE. 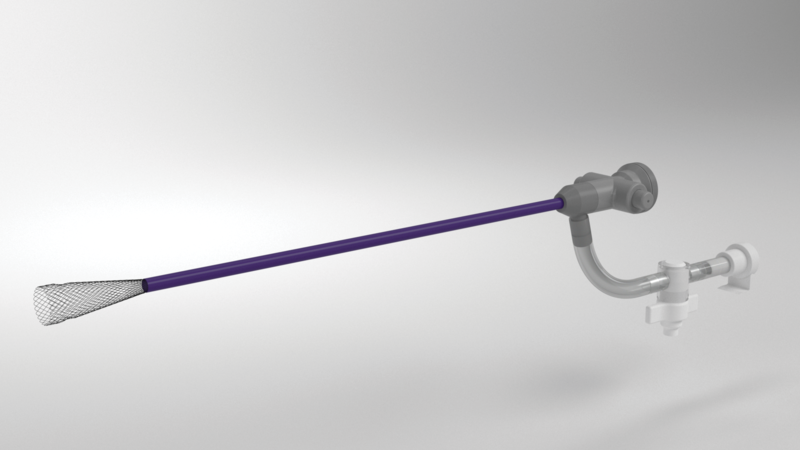 The FlowTriever System (Inari Medical) (Figure 1) combines mechanical engagement of the clot with controlled aspiration to efficiently disrupt and remove clot and rapidly restore blood flow to the lungs. The FlowTriever System offers a new treatment option for all PE patients appropriate for intervention, including those previously ineligible for catheter-directed therapy due to contraindications to thrombolytic drugs. This article describes a case in which the FlowTriever System was used to treat a pregnant patient with acute massive PE. Figure 2. Baseline CTA showing saddle PE. While having lunch at a local restaurant, a 17-year-old woman who was 7 weeks pregnant experienced full cardiac arrest. CPR was started and maintained on the way to the emergency room. The 7-week-old fetus did not survive the cardiac arrest. 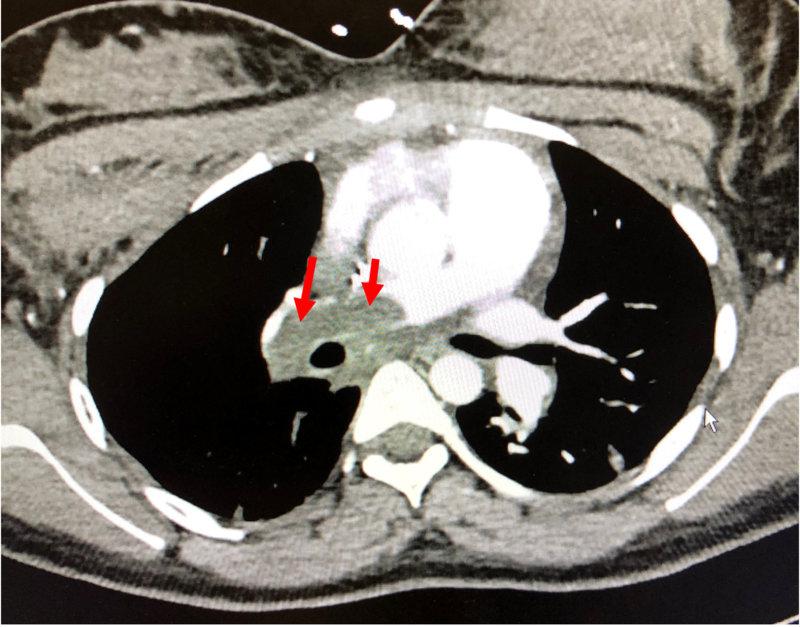 On admission and after blood pressure was stabilized on pressors, CTA confirmed the presence of a large saddle pulmonary artery (PA) thrombus with obstruction (Figure 2). Immediately, 100 mg of tissue plasminogen activator was administered systemically, and her hemodynamic status improved. Two days later, she continued to be significantly short of breath with elevated PA pressures and right ventricular dysfunction on echocardiography. Repeat CTA demonstrated persistent thrombus and subtotal occlusion of the right PA (Figure 3). A mechanical thrombectomy procedure with the FlowTriever System was planned. Figure 3. CTA after systemic lytics were administered, showing persistent right subtotal occlusion. Figure 4. 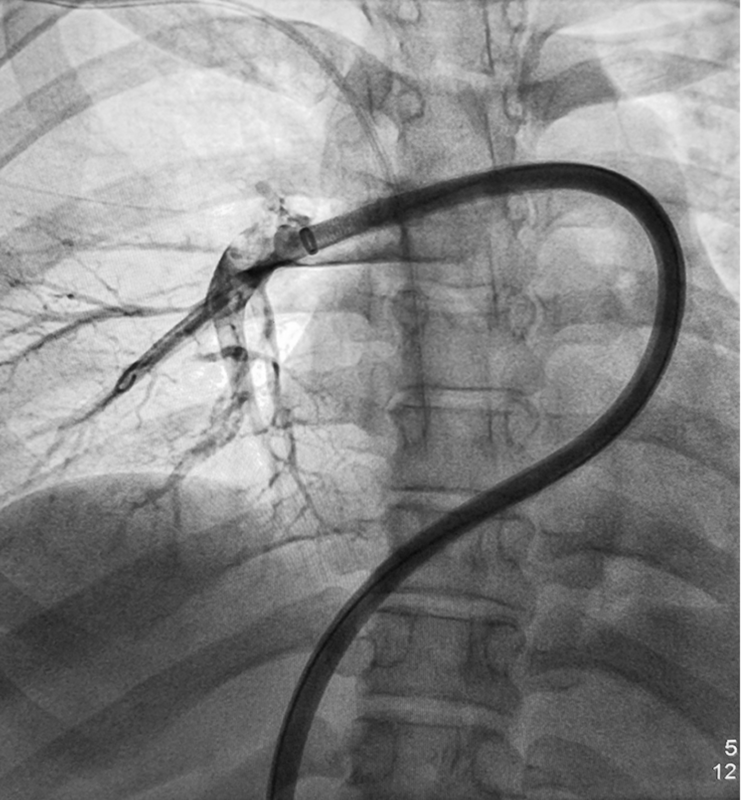 Right PA angiogram demonstrating the large occlusive thrombi. Figure 5. The FlowTriever System advanced into the right PA.
After pulmonary angiography was performed (Figure 4), the FlowTriever System was introduced into the venous system with a 22-F femoral sheath and advanced to the level of the right PA (Figure 5). The procedure was then initiated with the FlowTriever, and a significant amount of clot was removed from the right PA (Figure 6). Postprocedural pulmonary angiography demonstrated restored blood flow through the right PA. Systolic pulmonary pressure dropped from 50 mm Hg before thrombectomy to 35 mm Hg immediately after thrombectomy. The procedure lasted 80 minutes. After the procedure, the patient was breathing normally and resting comfortably. Echocardiography was performed the next day, which demonstrated almost normalization of right ventricular function. Figure 6. Clot extracted by the FlowTriever System. The FlowTriever System was successfully used to treat acute PE, removing significant amount of thrombus and rapidly restoring blood flow. Mechanical thrombectomy with the FlowTriever System represents a valuable new option in the treatment of PE. As National Co-Primary Investigator (PI) for the ClotTriever Outcomes Registry (CLOUT), what are some of the study highlights? Dr. Beasley: Along with my co-PI, Dr. Marston, I am excited to be involved with this game-changing device and registry study enrolling up to 500 patients. We elected to run a two-arm trial to amass significant data across various patient groups. The primary arm will enroll patients with both acute and chronic disease with clot age up to 6 weeks. The secondary arm will include all comers with no cap on clot age. The primary effectiveness endpoint will be based upon residual clot postprocedure. The primary safety endpoint is a composite of major adverse events at 30 days. We will also follow these patients through 2 years to understand how the various subgroups do longer term. In my cases to date, I have found ClotTriever to be safe and effective at removing thrombus quickly and easily. The venograms and IVUS images after using ClotTriever are really remarkable. I suspect we will have a great long-term impact on patients given the ClotTriever’s ability to remove most, if not all, clot consistently across patients while excluding the bleeding risk associated with thrombolytics. Dr. Marston: The main goal of the CLOUT registry is to coordinate the efforts of a number of centers performing cases to identify the optimal utilization of the ClotTriever device across the full spectrum of clot age and burden. Along with my co-PI Dr. Beasley, I am eager to gain collective experience with the device to share best techniques and situations for use and define outcomes after treatment. In this way, we can provide the best possible recommendations for when and how to use this innovative device to optimize care of patients with major DVT. It will also be interesting to monitor residual clot postprocedure as well as the recovery time for patients experiencing severe pain and edema. Given the ClotTriever’s mechanical design and its ability to separate clot from the vein wall to restore flow, it will be interesting to observe how patients do longer term with regard to PTS symptom severity as well as QOL metrics.